FASHION MAGNET ATTRACTION DESIGN: Portable, user-friendly and popular magnet attraction design, make the earphones more fashionable,it’s easy to store and carry ,and not easy to get lost. Soft contoured ear-hook, secure Ergonomic half in-ear, super comfortable and seal. Not falls off during strenuous activity. 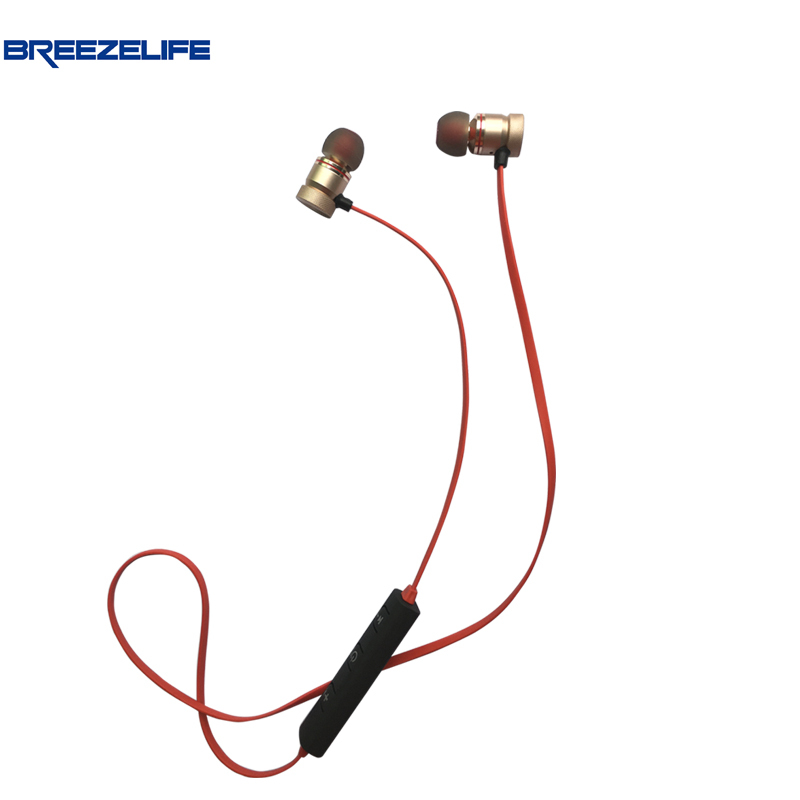 Simple function button, built-in handsfree Mic, auto pairing bluetooth device, easy to use. Glorious listening and a hands-free, wireless design for iPhone, for Samsung Galaxy, for Windows phone, for iPad mini, and for laptop. COMFORTABLE TO WEAR: Ergonomic in-ear headphones design to specifically fit the contours of your ears, with 33ft wireless distance, you can enjoy your favorite music when running,yoga,jogging and other activities. Sweatproof, Protect your Earbuds in case they ever get damaged by sweat! it is sure to be the nice gift you’ve ever given yourself or friends. All items are carrying CE, RoHS Certificate. 4) The Shipping time for Brazil will be 50-60days or longer due to strict local customs inspection. Generally we value our product about 30% the retailing price, due to different country have different custom policy. We just follow most of the country situation, so if your country have special custom rule, please let us know your requirement before we ship it out, and once your package catch by the custom office, we can offer the commercial invoice to help you clear custom duty. If you refuse to get the package due to the high tax, we also can’t refund you, so please check your country custom policy carefully before you place an order, thanks for your help!